Pocket gophers (so named because of their puffy cheeks used for food storage) burrow underground where the soil is soft, leaving mounds of dirt near the tunnel entrances. These mounds are not only unsightly, but often cause damage to yard and farm equipment. One gopher can actually create several mounds per day, though in an optimal area (meaning areas where there are lawns, flower beds, and gardens), there may be as many as 60 gophers per acre! 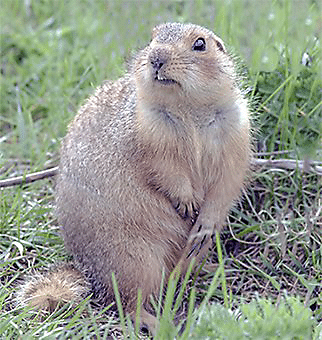 Gophers can be a real nuisance and have the ability to literally destroy your lawn, shrubs, gardens, and landscaping in just a few days with their aggressive burrowing. Because their tunneling can also destroy irrigation systems, soil erosion can result, so taking care of these pests as soon as you notice them is the best course of action. It’s important to note that gophers tunnel anywhere from 6-12 inches underground. Where they live and store their food can be as far down as 60 feet, though. This means you’re not likely to see the tunnel – just the dirt mound off to the side of the tunnel’s opening. They munch on plants, shrubs, vines, and trees, including the roots and bark of the vegetation they prefer. Gophers also stay underground the majority of the time, so the dirt mounds are the best evidence of their presence. Although gophers have a few natural predators, like snakes, owls, and coyotes, relying on nature to get rid of gophers isn’t recommended because of the extensive damage these pests can do. To effectively get rid of gophers, most people trap them. But using the right bait (AND the right baiting techniques) with the right kind of traps will give you the most effective results. Come in to any of our five Valley-wide locations and talk with one of our knowledgeable store managers to help you get rid of gophers.